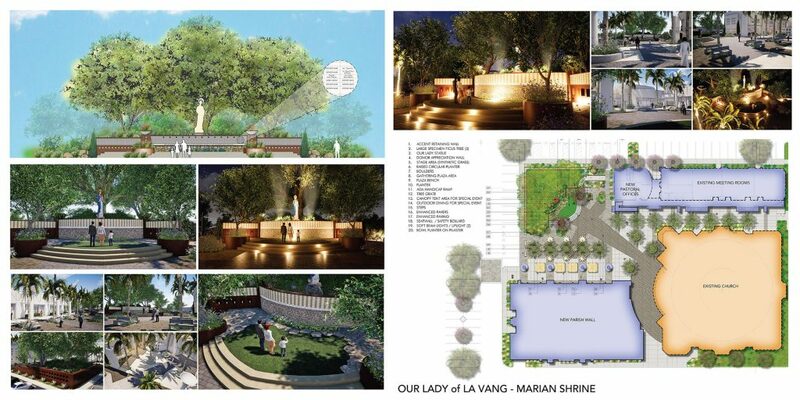 Parish Our Lady of La Vang is preparing to build a two-floor building Faith and Our Lady of La Vang stations. We earnestly invite you to our contribution to building a brick LaVang Station Building and faith to our children. Faith is very important in the life of Catholics, so your contribution is a pleasure for the children. When completed the construction of the building of the Faith, where they have religious education, learning Vietnamese language and all the programs of the parish pastoral. Next, we build LaVang stations we thank Mary took us to the shores of freedom, and the mother of La Vang, Vietnam mom always bless us all. When the amount of funds you build radio support Mary and Faith Buildings from 3,000 dollars reached (three thousand) or more, then your name and last name will be engraved on the radio priority LaVang when completed. Again, we are grateful parish and continue to pray daily for your grandparents and your brothers and sisters living donors and deceased. 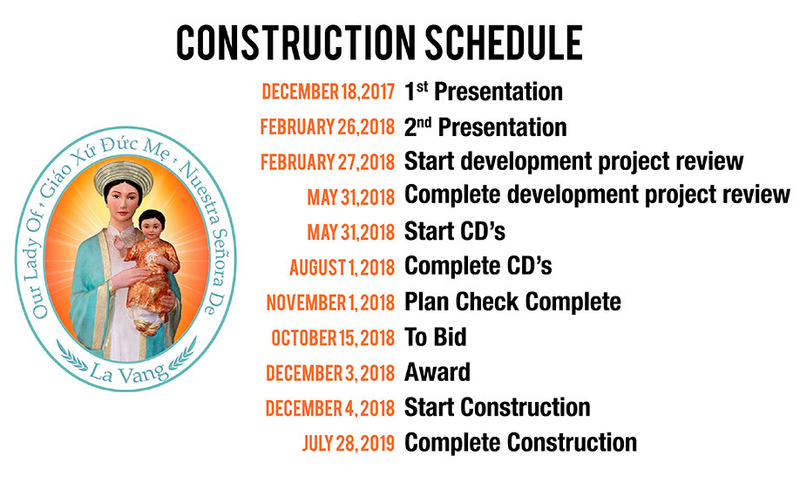 Your contribution will be the means to Our Lady of La Vang Parish early completion of this project.